HSSC Recruitment 2019: Haryana Staff Selection Commission has rolled out a new vacancy notification regarding 861 seats available for various posts. 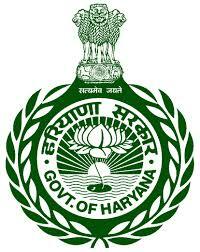 Only the candidates who meet all the eligibility criteria can apply for these Haryana State Jobs. The online application can be filled up from 12.01.2019 to 11.02.2019 till 11.59 P.M, thereafter website link will be disabled. The selection will be based upon the candidates’ performance in the written examination. To get more detailed information about the direct recruitment process, you should take a look of the HSSC Vacancy Notification 2019 given on our page. The exam date is yet to be announced and we will update you about it as soon as it does. a) You need to visit the official website i.e. www.hssc.gov.in to apply online for the posts. b) Then, you will have to complete the registration process. c) Click on the apply link availble on the website. d) Fill up the application form carefully for the post you want to apply for. e) Deposit the application fee amount. f) Attach the required documents and submit the form.